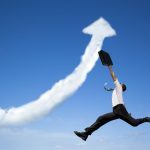 Optimizing existing cloud use for cost savings is the top initiative for users in 2019 for the third year in a row, increasing to 64 percent from 58 percent in 2018. This is one of the findings of the RightScale 2019 State of the Cloud Report from Flexera. 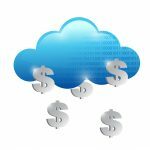 Among other highlights are that enterprises plan to spend 24 percent more on public cloud in 2019 compared to 2018. 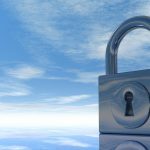 Cloud-based business initiatives are accelerating faster than security organizations' ability to secure them according to 60 percent of respondents to a new survey. 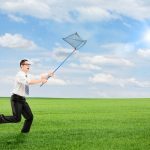 The study by network security company FireMon also finds that in many cases security personnel are not even included in cloud business initiatives. 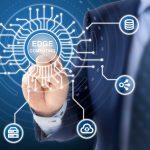 Driven by the growth of mobile computing, IoT devices and the upcoming 5G rollout, edge networking is on the rise and leading businesses to take a fresh look at their networking strategies. 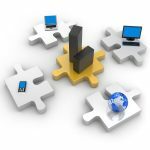 But going from a traditional approach to a virtualized, cloud-native, and software-driven network that connects headquarters to multiple branches and deploys new services like SD-WAN, Virtualized Customer Premises Equipment (vCPE), and IoT devices isn’t easy. Employees and contractors are exposing confidential and sensitive information online and in the cloud in some 98 percent of organizations. This is found primarily in Dropbox, Google, and Microsoft SharePoint. 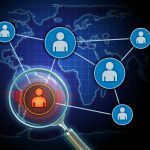 This is among the findings of a new report from insider threat specialist Dtex Systems which has analyzed information from work-issued endpoints and more than 300,000 employee and contractor accounts. Cloud data warehouses (CDW) offer broader data capabilities, stronger performance, and greater flexibility than traditional on-premise databases according to a new survey. But the study by TDWI on behalf of Talend also shows enterprises need to follow some best practices to overcome implementation challenges and increase investment return. The move to accessing applications from the cloud and provisioning resources dynamically has led to organizations moving to a zero trust strategy to guard against attacks and data leaks. However, this can be hard to achieve with hybrid environments. Secure access specialist Pulse Secure is adding Software Defined Perimeter (SDP) architecture to its platform to extends its foundation of Zero Trust access for hybrid IT. While most CIOs have now identified the benefits cloud can have for their business, concerns over becoming locked in with a single vendor can still be a major barrier to rolling out projects. We spoke to Richard Best, general manager at COMPAREX UK, to find out why this is the case and what companies can do to avoid vendor lock in. Popular cloud-based office suite Zoho is launching a new version of its software complete with AI-powered personal assistant. Zoho Office is made up of four cloud-based productivity software applications -- Zoho Writer, Zoho Sheet, Zoho Show, and Zoho Notebook. These are fully integrated with each other and with Zoho Mail the company’s messaging app Cliq. Almost half of respondents to a new survey identify ever-increasing disparate data sources as a major pain point. The study from development technology specialist Progress also finds 44 percent of respondents are worried about integrating cloud data with on-premises data, making real-time hybrid connectivity critical. Flickr starts to delete users' photos today -- act fast to save yours! It is a few months since Flickr announced major changes to its free accounts, and today is the day the impact starts to be felt. Users unwilling to upgrade to a Flickr Pro account are now limited to storing 1,000 photos online, and any images above this number will be deleted starting today. Anyone who hasn't downloaded or backed up their photos risks losing them forever. 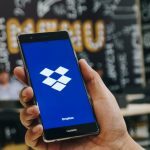 Cloud storage firm Dropbox has announced that it is to acquire HelloSign -- a San Francisco-based startup that provides electronic signature and document workflow services -- for $230 million in cash. The acquisition is the largest ever made by Dropbox, and it is expected to be completed in the first quarter of the year. The purchase bolsters Dropbox's offerings and gives it a firm footing to better compete with the likes of DocuSign. 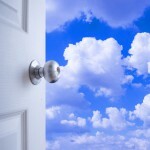 Cloud adoption in enterprises is already very high and growth is likely to continue in 2019 according to the latest cloud adoption survey from NetEnrich. 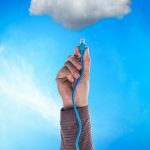 The study of IT decision makers in businesses with 500 or more employees shows 85 percent of respondents report either moderate or extensive production use of cloud infrastructure, while 80 percent say their companies have moved at least a quarter of all their applications and workloads to the public cloud.